Offering you a complete choice of products which include carbendazim 50% wp (greenstin 50), carbendazim 12% mancozeb 63% wp mancostin, hexaconazole 5% ec and matalaxyl 8% mancozeb 64% wp manaxyl. 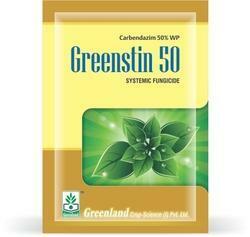 We are among the leading organizations in the industry for offering an extensive array of Carbendazim 50% WP Greenstin 50 to our esteemed clients. 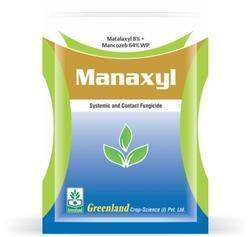 The offered assortment of product is available in a safe packaging and used as Systemic and Contract Fungicide. Apart from this, we are providing these products at leading market prices. 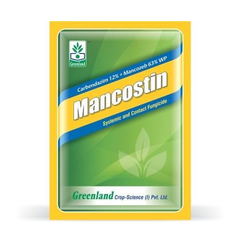 We are the leading manufacturers and supplier of Carbendazim 12% Mancozeb 63% WP Mancostin. Backed by our rich exposure in this domain, we are dedicatedly affianced in presenting the wide array of Hexaconazole 5% EC to our valuable clients. 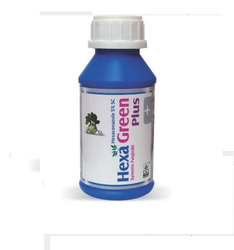 These products are the systematic fungicide and used in grapes, mango, tea, rice, groundnut, apple and soybean to protect from powdery mildew, blaster, sheath blight, tikka leaf spot, scab, and rust. Apart from this, our valued customers can buy this array within the promised period of time. We are a trustworthy organization in the market, actively engrossed in offering a wide gamut of Matalaxyl 8% Mancozeb 64% WP Manaxyl to the clients. These products are used as contact fungicide for Grapes, Potato, Cherry, Tomato and apple for Downy mildew, Late blight, early blight. Also, these are checked on numerous parameters in order to deliver flawless range at clients end.